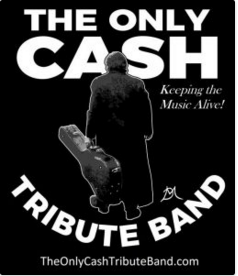 The Johnny Cash Tribute Band pays homage to Johnny Cash celebrating the life and music of the Man in Black with strong conviction and stunning accuracy. Starring Danny Millsap as Johnny Cash and his band, The Hennessee Three. This delightful band faithfully recreates Cash’s biggest hits, including “A Boy Named Sue,” “Folsom Prison Blues,” “I Walk The Line,” and “Ring Of Fire,” incorporating historical accounts and personal anecdotes about America’s most beloved singing storyteller in this not-to-be-missed musical event. The show is a fun, classy and toe-tapping trip down memory lane honoring Johnny Cash’s life and music, and the boom-chicka-boom sound of his signature backing band, the Tennessee Three. They are true to the Cash sound and do an awesome job that’d make Johnny proud.